Violent escalation in the West Bank at play during December. As part of its reponse to terrorism, the Israeli government declared it would boost settlement legalization and construction. December also marks the three-year anniversary of the adoption of U.N. Security Council Resolution 2334, which reaffirmed the goal of a two-state solution and called for an end to all acts of violence and terrorism, as well as for the cessation of all settlement activities. Resolution 2334 anchored the differentiation between pre-1967 Israel and the occupied Palestinian territories as the primary tool with which the international community should address Israel's settlement enterprise. With this in mind, we offer the following analysis. 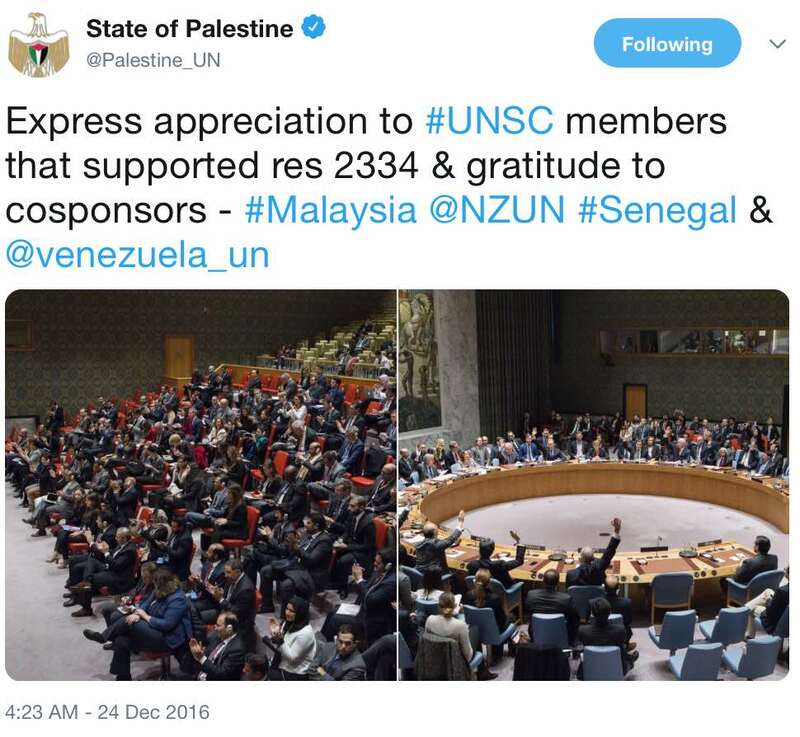 On December 23, 2016, the U.N. Security Council passed resolution 2334 (UNSCR 2334) which called on all states “to distinguish, in their relevant dealings, between the territory of the State of Israel and the territories occupied since 1967.” Three years on, the promise of a stronger international stance toward Israeli settlements remains largely unfulfilled despite scattered progress. UNSCR 2334 did not create any new international legal determinations, but it was important in highlighting the international law-based duty of third states not to recognize or assist Israel’s settlements project. In doing so, the resolution spotlighted an already ongoing process of third state differentiation between Israel and the settlements located in East Jerusalem and the West Bank (as well as the Golan Heights) — all of which are considered to be occupied territory under international law. The EU and its member states are commonly associated with this process of differentiation. And in many ways, they have been important trailblazers. Many European measures pre-date the adoption of UNSCR 2334 and have set down important markers for other states seeking to align their practices with international law. The EU has imposed financial and trade restrictions in its dealings with Israel to ensure settlement entities and activities do not benefit. This has included banning the import of organic, poultry and dairy products from Israeli settlements due to the EU’s inability to recognize the on-site inspections carried out by the Israeli certifying agencies. In addition, the European Commission published funding guidelines in July 2013 explicitly stating that Israeli settlement-based entities and activities are excluded from receiving EU financial grants and loans from the European Investment Bank (EIB). This includes funds available through the EU’s research and development programme Horizon 2020, as well as EU education programs such as Erasmus and Tempus. Beyond the EU, the United States has, in several instances, also restricted the territorial scope of its agreements with Israel to within the pre-June 1967 Green Line, including in areas relating to free trade, loan guarantees, and R&D cooperation. For its part, Brazil explicitly discouraged economic activities with the settlements in its 2010-11 Manual on Exports to Israel. Since December 2016, the EU has held firm to its differentiation requirements when negotiating new agreements. For example, it continues to condition Israel membership of programs such as Creative Europe and the Cross-Border Cooperation in the Mediterranean (CBC MED) on the exclusion of settlement entities and activities. In October 2017, the UK Charity Commission warned that making grants to Israeli settlements could potentially constitute a breach of the Geneva Convention. Perhaps most significantly, the Danish parliament passed a resolution in January 2018 adopting UNSCR 2334’s differentiation requirement, and encouraging the government to strengthen its guidance to private and public investors. The Irish parliament is also considering legislation to ban settlement products. The need to differentiate between Israel and its settlements is also increasingly appreciated by private companies. The most recent and high-profile example is AirBnb’s decision to exclude settlement properties from its listings. This has taken place against the backdrop of an upcoming U.N. listing of companies with business ties to Israeli settlements — expected to be published by March 2019. Despite important advances since December 2016, significant challenges remain in implementing UNSCR 2334’s call to distinguish between Israel and the OPT. In the United States, meanwhile, Congress and state legislatures continue to pass legislation that conflates Israel with the settlements, while blacklisting companies that seek to distinguish between Israel and the OPT and align their practices with UNSCR 2334. The international effort to stop, or even curtail, Israel’s settlement policy has thus far mostly failed. In addition to calls for a settlement freeze, differentiation has become an anchor of international policy on this issue. But to safeguard the territorial footprint for a two-state solution, a fuller and more diligent implementation of differentiation measures is needed. The international community would be wise to launch a campaign educating Israelis about the stark difference between differentiation and a general boycott of Israel. It would also be wise to point that should Israel succeed in its efforts to erase the 1967 line and conflate the settlements with the state that builds them, then international efforts will in turn stop distinguishing between Israeli settlements and the state that builds and sustains them. The result would be a re-invigorated drive to boycott and sanction all of Israel. Hugh Lovatt is a Policy Fellow with ECFR's Middle East and North Africa Programme. During this time, he has focussed extensively on EU policy towards the Middle East Peace Process (MEPP) and domestic Palestinian politics. He has worked to advance the concept of EU Differentiation, which was enshrined in UN Security Council Resolution 2334. Hugh also co-led a 2016 track-II initiative to draft an updated set of final status parameters. You can follow Hugh on twitter at @h_lovatt. At the member state level, Germany has conditioned the disbursement of its own hi-tech and science grants for Israel on the exclusion of settlement entities. Meanwhile, both the UK and the Netherlands have placed restrictions on pension payments to their nationals living in Israeli settlements. At least 18 member states have also issued national advisories warning against business dealings with Israeli settlements. Another European state, Norway, ended tax deductions for charities providing financial support to the settlements. Further afield, China signed an agreement on construction labour with Israel, in April 2017, distinguishing between Israel and the occupied Palestinian territory (OPT) by ensuring that Chinese workers would only be employed in territory controlled by Israel prior to June 1967. And last July, Japan’s Ministry of Foreign Affairs  warned its businesses of the financial, reputational, and legal risks of dealings with Israeli settlements given that they are regarded as violations of international law. Elsewhere, Mercosur members (Argentina, Brazil, Paraguay, Uruguay, and Venezuela) still appear to grant preferential trade tariffs to settlement products despite Brazil’s 2009 commitment to negotiate their exclusion. In a September 2017 visit to south America, Prime Minister Netanyahu signed security, customs and social insurance agreements with Argentina. During the same trip, Mexico and Columbia both announced they would be updating their free trade agreement with Israel. In February 2018, Brazil and Israel signed a new social security agreement. In early 2018, India also signed a number of agreements during a visit by Prime Minister Netanyahu, including on energy, aviation, and investment. These are in addition to existing Indian agreements dating to 2003 relating to cultural and educational cooperation. South Korea, China, Vietnam and India have also all reportedly entered into free trade talks with Israel with no indication as to whether these will exclude Israeli settlements. 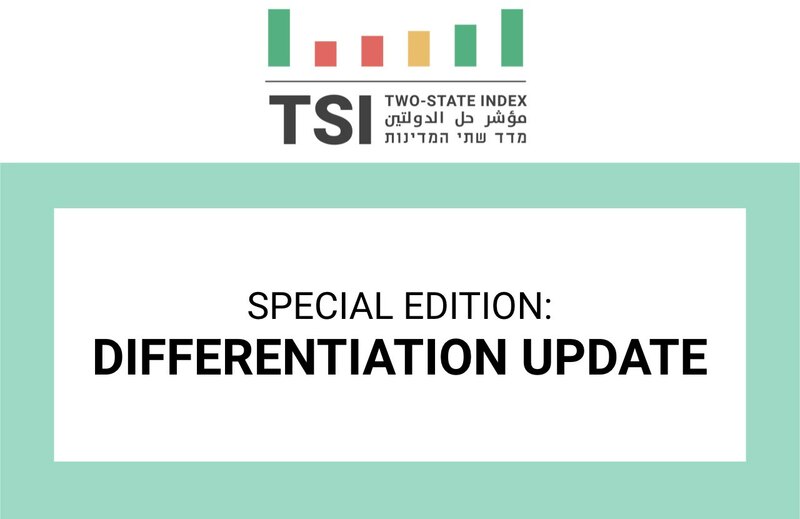 To learn about the Geneva Initative's TSI, visit our website, including our elaborative methodology page.